Stunningly gorgeous ACTRESS fondles an envelope as gorgeous ACTOR devilishly looks on. The Academy of Motion Picture Arts and Sciences place screenwriters dead last on their web listing of Oscar nominees. After feeling a teeny bit of outrage, I realized maybe that’s because the screenplay is where the movie begins, the pages of dialogue and visuals that many other artists build upon to get the product into theaters. Good movies have a great screenplay as solid foundation. Whereas bad performances, production values or directing can spoil a good screenplay, I can’t think of an excellent film warranting such praise that began with poor writing. Writer David O. Russell gave actors a lot to chew on in Silver Linings Playbook by providing characters with tricky motivations for hills and values in action. This moving depiction of mental illness, both funny and tragic, often both at the same time, remains realistic and respectful. Lucy Alibar and Benh Zeitlin’s Beasts of the Southern Wild made a strong statement of a very different world and culture not so far from home with vivid imagery and action written in language and point of view honest to a 6 year old girl. The truth of the lead’s brilliant performance started with strong writing. Life of Pi, written by David Magee, accomplished the feat to translate a spiritual allegory into a screenplay using strong visuals and voiceover with very little on-screen dialogue. Before the Oscars, I plan to see Chris Terrio’s Argo and Tony Kushner’s Lincoln. I also have yet to see the work of Michael Haneke, Quentin Tarantino, John Gatins and Mark Boal. However, screenwriters Wes Anderson and Roman Coppola’s Moonrise Kingdom was subtle and picturesque, charming and inviting, a story simple on the surface, but the threads of imagination wove the screenplay into a rich tapestry. Totally pulled me in, made me laugh and cry. What story would you like to write for the screen? Write a screenplay that will capture audiences, keep their interest and move them. Enroll in my 4-week intensive. You’ll get the basics of style, format and structure and have the opportunity to map out your plot and write opening scenes. 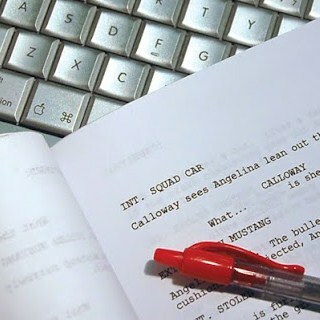 Learn how to look within your vision of performance and production to discover the bones of writing a great screenplay.